From that and the two variant covers for issue 1, we can learn a few things about the upcoming series. We do know that the comics will feature the cast of the current seasons, with Jonah Ray Rodrigues as Jonah Heston and Felicia Day’s Kinga Forrester in the starring role. We also finally found a format for these books. In the initial rumor, no details were provided about what the MST3K comics would be like/about, but we now know that Jonah and the Bots will be riffing over public domain comics. We also know that creator Joel Hodgson, who played Joel Robinson in the show’s first 5 seasons, is in charge of this comic series and long-time DVD cover artist Steve Vance is drawing the variant covers. 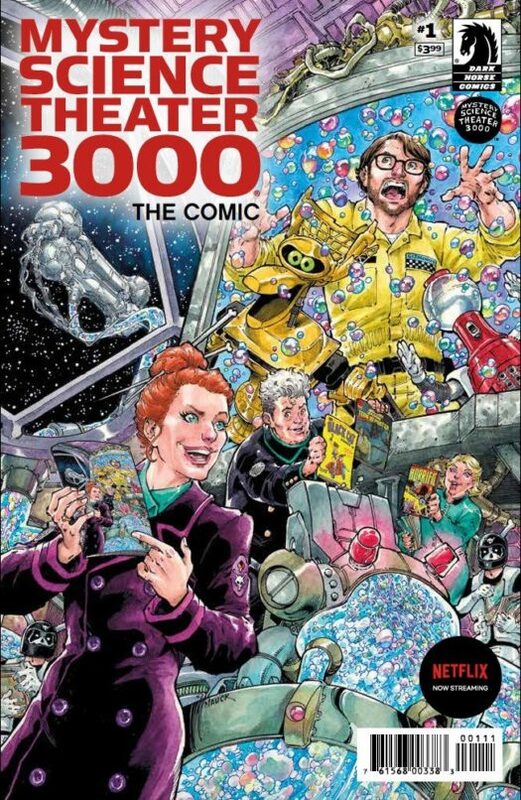 Personal theory, but the sticker on the front of the cover could suggest that the new season of MST3K could be out around the same time as the comic’s release in September. 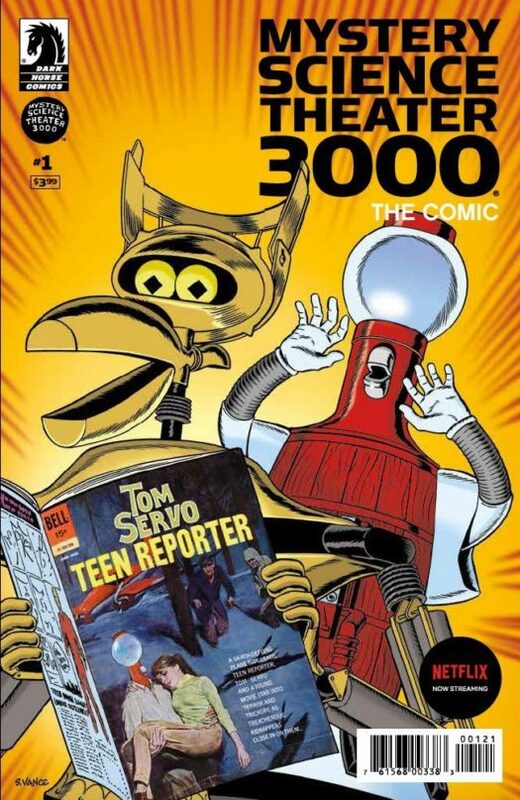 Be sure to check out issue one of Mystery Science Theater 3000, The Comic at your local comic store this September. Hit the button, Frank. Previous articlePreviews of the SDCC Exclusive WWE, Spastic Plastik and Golden Girls Collectibles! 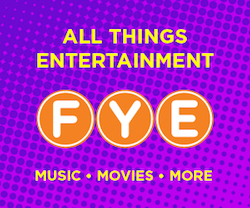 Next articleDC Comics Announces Details on Streaming Service: DC Universe!